Folic acid is a B-vitamin that is necessary for proper cell growth. to 70% of some serious birth defects of the brain and spine, called neural tube defects. Although all enriched cereals and grain products in the U.S. are fortified with the B vitamin folic acid, only one-third of U.S. women of childbearing age get the recommended amount from their diet. Taking a multivitamin with folic acid every day is the easiest way that women can get the recommended amount of 400 mcg. 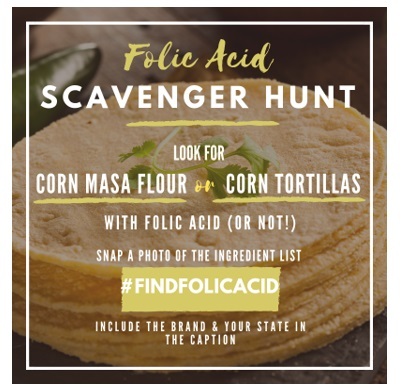 Join us to promote Folic Acid Awareness Week by following some easy tips listed in the social media toolkit! Folic acid is a vitamin that can help prevent birth defects. Women of childbearing age need 400 micrograms (mcg) of folic acid each day. 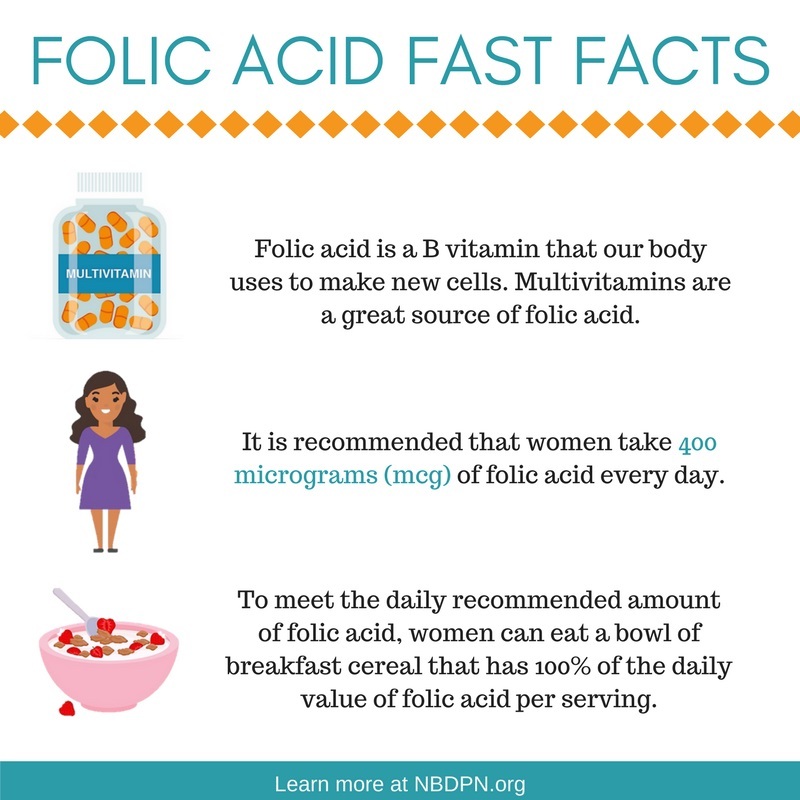 Check out CDC’s folic acid page: http://www.cdc.gov/ncbddd/folicacid/index.html. Food folate is different than folic acid but it can still be part of a healthy diet. 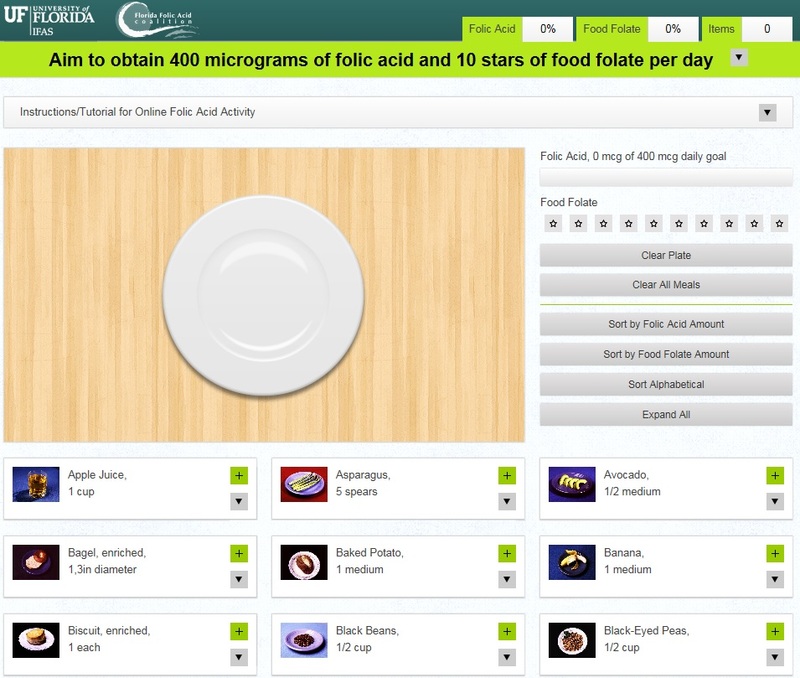 Play the food folate game below and remember to supplement your diet with 400mcg of folic acid!